Antique 19thc Treen Fruitwood Wall Tidy. Scottish. C1860-80. 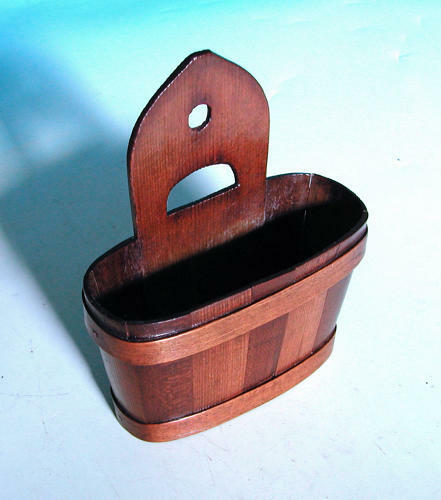 A well made 19thc small "Wall Tidy", beautifully made from Pine, Fruitwood and banded in Willow...it has gained a fine colour and is of a useful size.